My lovely wife Virginia Banks bought me a record deck for my birthday (to replace the one that finally broke many years ago), which has an added feature of a USB port so I can turn analogue into digital and listen wherever I am. I tried it out today to see how easy it is to transfer and here is the first attempt. I haven’t listened to this album for at least 25 years maybe closer to 30! 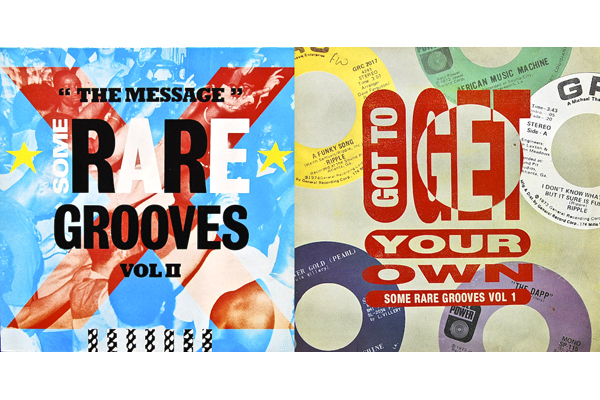 It’s the first side of The Message: Some Rare Grooves (Vol II). 6) Keep On Dancing (Alvin Cash & The Scott Brothers Orchestra). I hope you enjoy! I haven’t worked out how to edit and split the tracks yet so the music doesn’t start until about 30 seconds in (please be patient) – that’ll be my next lesson in the analogue to digital masterclass!